First, I have to say thank you so much EC Bristol. When I arrived in Bristol, I thought that I would speak and understand the English language very well within three months. Actually, it was impossible in my situation! I started to study in a low level, but now I’m in Upper Intermediate, after a lot of effort and perseverance! I feel very confident every morning when I’m going to study in EC because there is a nice atmosphere starting with Stella (Student Services Coordinator), the teachers, my friends (the students), and Dan (Centre Director). About the teachers, I can say that I was very lucky with them; they are really professional, sensitive and friendly. They always have the answer, a friendly manner and a smile for each one of us. I am a nurse and I am constant with my aims/goals. My goal is to improve my English language level. I believe in myself, so I’ve seen my improvements, step-by-step. With hard work, I did it! Being in EC Bristol is like having a new family, a new language, and a new culture. You can meet people from all over the world! I’m going to keep in touch with many friends from Asia, South America, Libya, Switzerland, Italy, etc. I love Bristol! I have a lot of good memories of my teachers, the lessons, and especially of my friends. 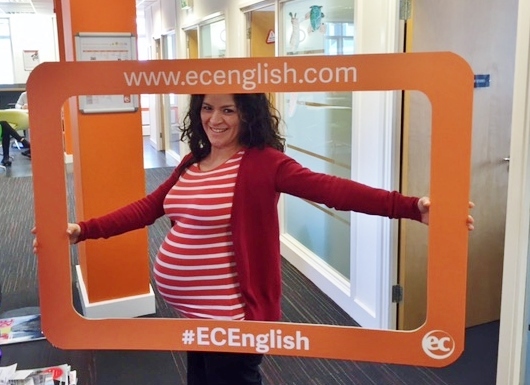 To sum up, I recommend EC Bristol if you want to learn English and live in the UK. The last few months have been very fruitful for me.